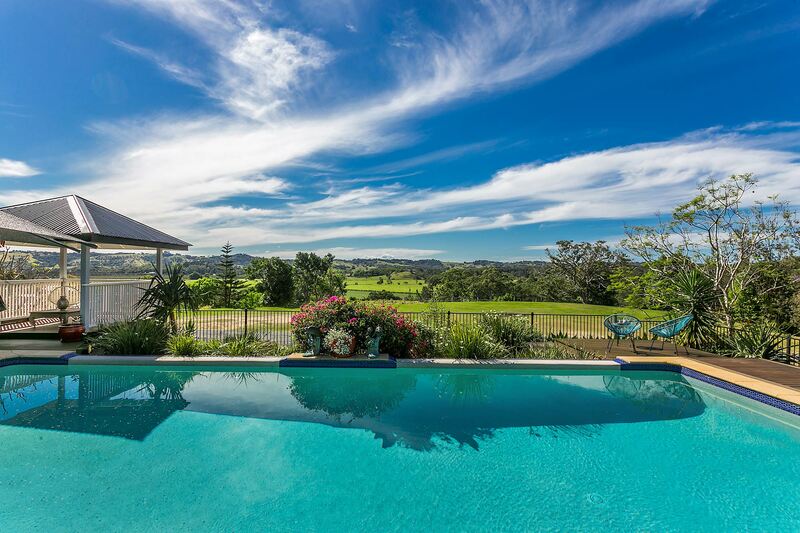 Welcome to Cheralee - the luxury rural retreat with 4 bedrooms and 2 bathrooms, on a sprawling green property in beautiful Broken Head. This stunning estate is light-filled and breezy and promises space and style, with simple and modern interior decorating throughout. 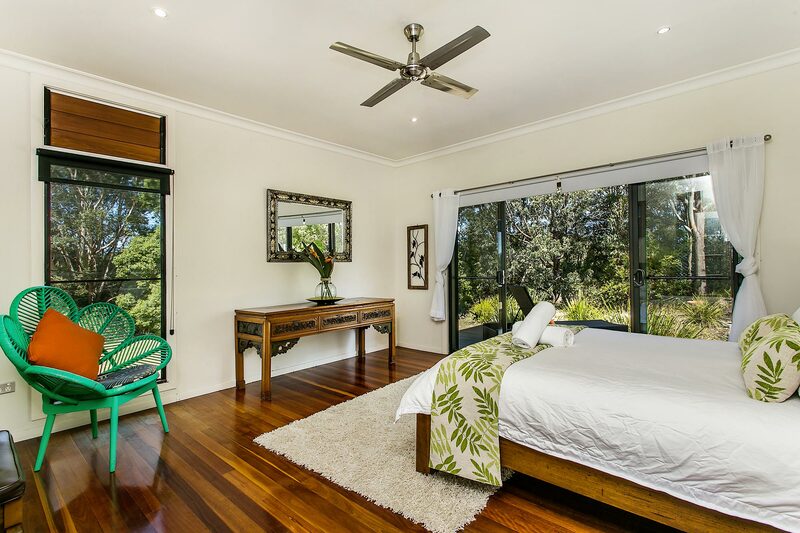 Walk on polished timber floors and sleep in 4 spacious, plush, resort-styled bedrooms, with tropical garden views. A huge, modern kitchen features a wraparound breakfast bar area with seating for 6 and top of the line stainless appliances. Outside, a large fully fenced entertainment space is located at the front of the house and comes complete with sparkling inground swimming pool, shady elevated cabana, modern sun loungers and seating, swinging pod chair and gorgeous covered outdoor dining space, with timber setting for 8. 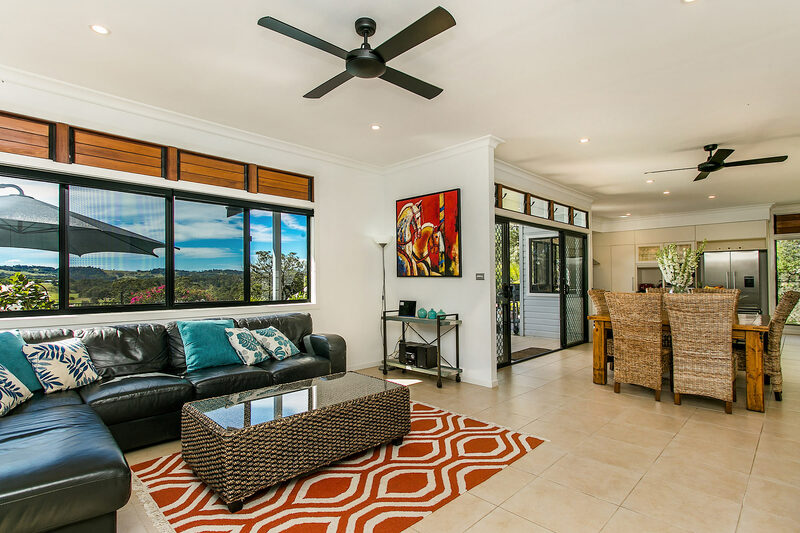 From this stunning rural location, drive only 5 minutes to Broken Head or 5 minutes to the bustling village of Lennox Head. 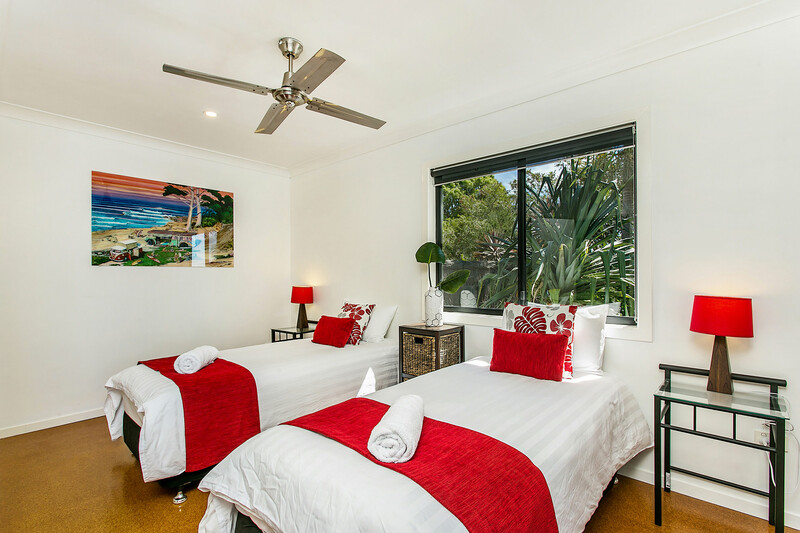 A short 10 min drive will see guests in the centre of Byron Bay. 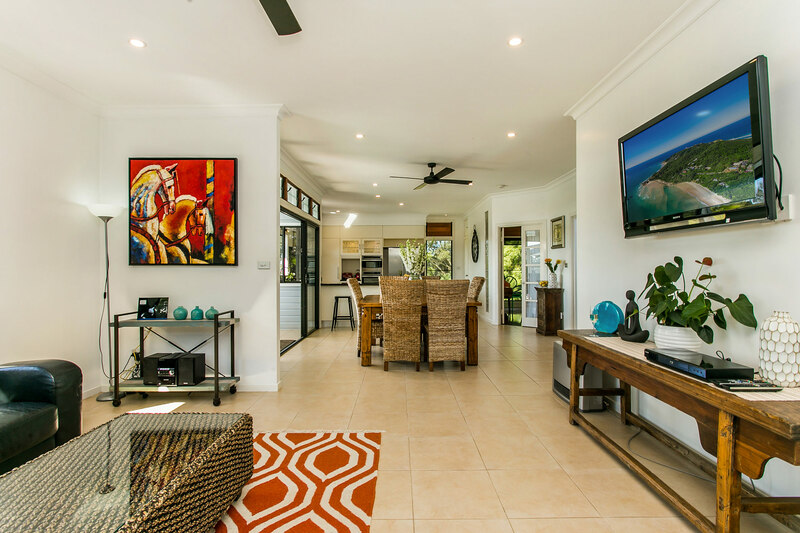 Open, bright and breezy, the living space sits just off the dining and kitchen area and includes comfortable leather lounges and flat screen TV, complete with Netflix for endless holiday entertainment. Bathe in the Broken Head Hinterland views in the open plan dining space, with 8 seat dining setting featuring rattan style high back chairs. Double width glass sliding doors open out to the outdoor al fresco space and extra height windows offer sun-soaked indoor dining. 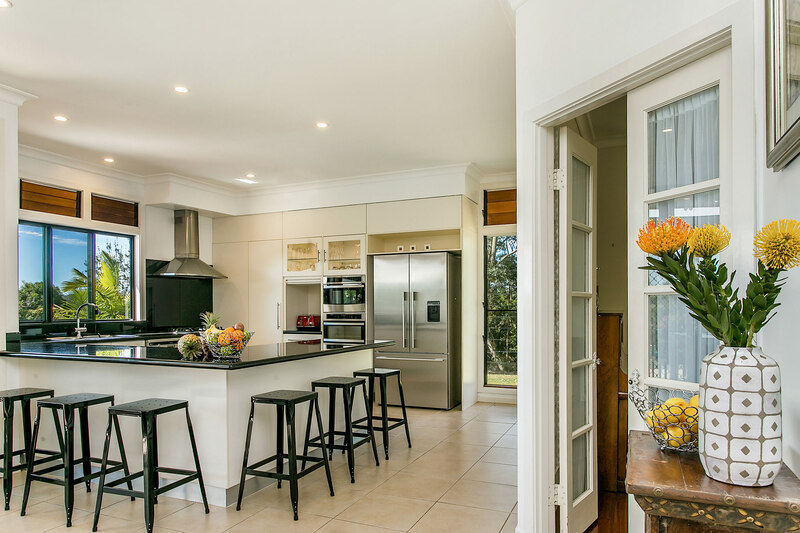 Cheralee’s large and contemporary kitchen is a home cook’s dream, with ample space and quality stainless steel appliances, including double door stainless fridge with ice and water dispenser, large oven and range hood and gas cooktop with 6 burners. 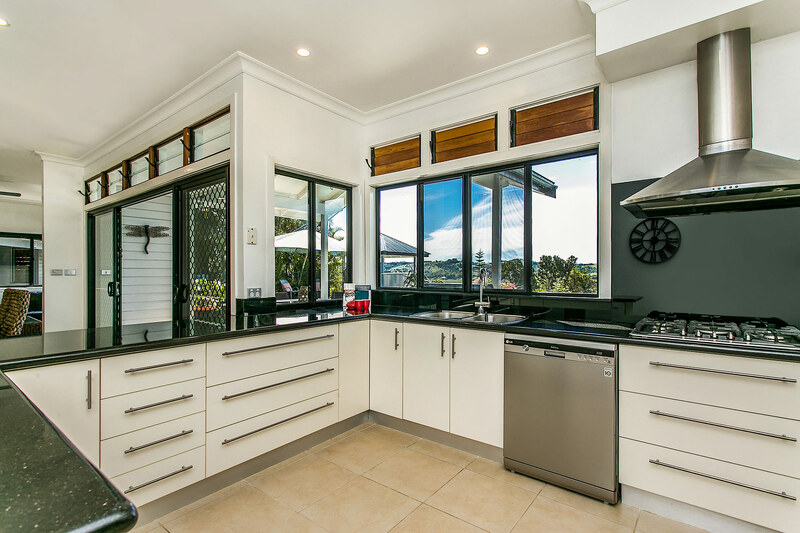 A huge wrap around breakfast bar area offers 6 seats for casual dining, with views to the tropical gardens beyond. 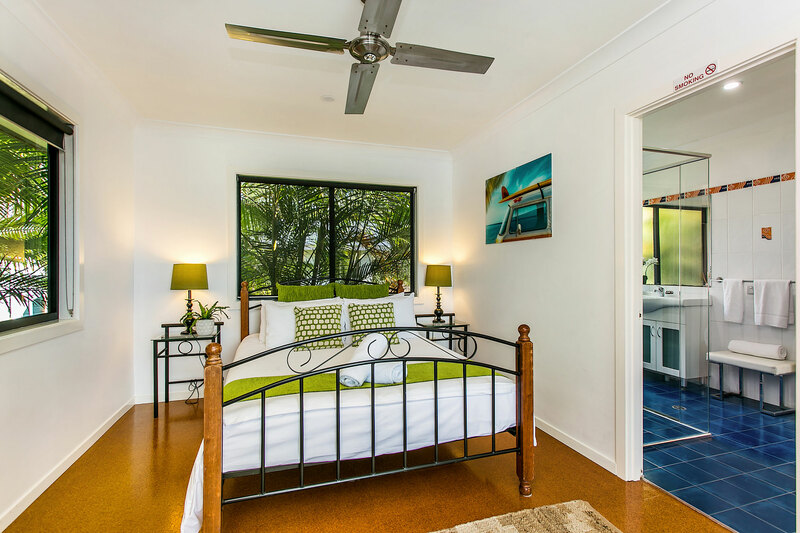 Spacious and sunny bedrooms all offer lush green tropical views and fresh and modern styling, with pops of bright, summer colours. The generous master suite includes sliding glass doors opening to the outdoor entertaining deck and pool area, as well as an ensuite bathroom. 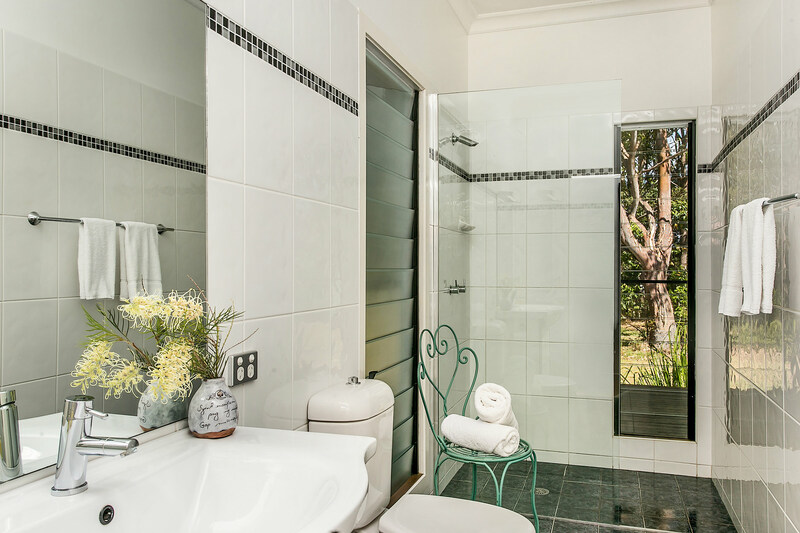 Cheralee’s main guest bathroom is large and light-filled with vertical louvre windows, open shower and charming country styling. 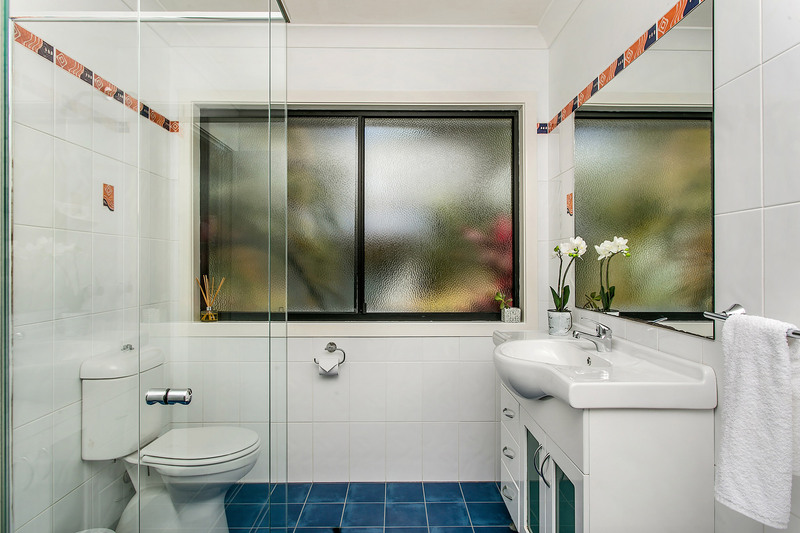 an additional bathroom ensure sharing space on holiday is a breeze. 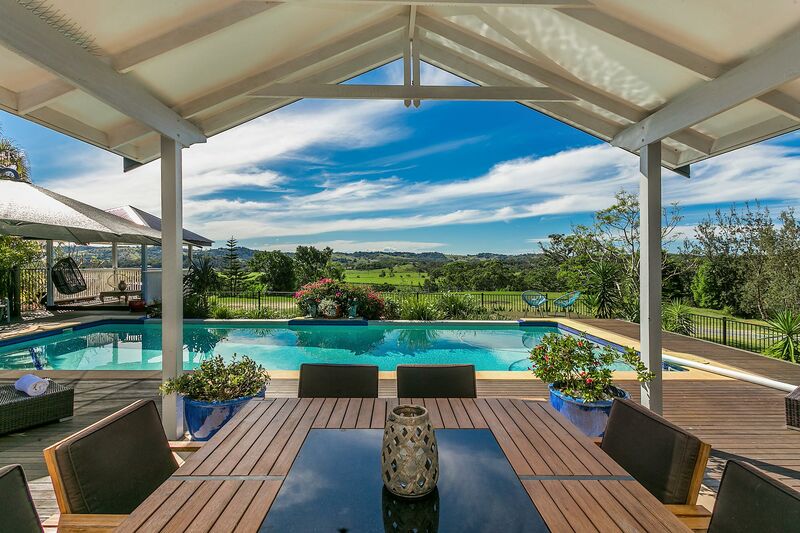 This stunning rural retreat is nestled on a large, flat grassed property, framed by 20 acres of green Hinterland expanse. A large and sparkling swimming pool stretches the width of the house, shaded by tropical trees and a cantilever umbrella, surrounded by a huge wrap-around timber deck. 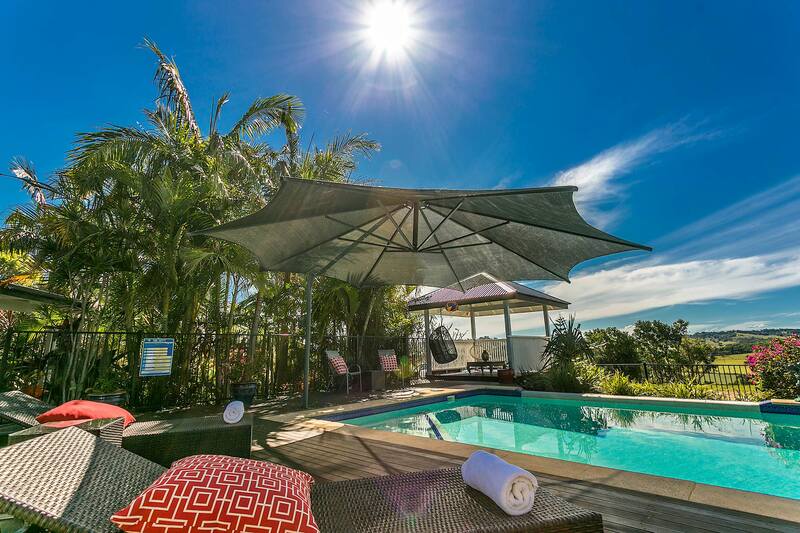 Sit poolside on plush and modern rattan sun loungers and cute sun-soaked table settings. An elevated cabana overlooks the pool and Hinterland, complete with seating and a swinging pod chair. 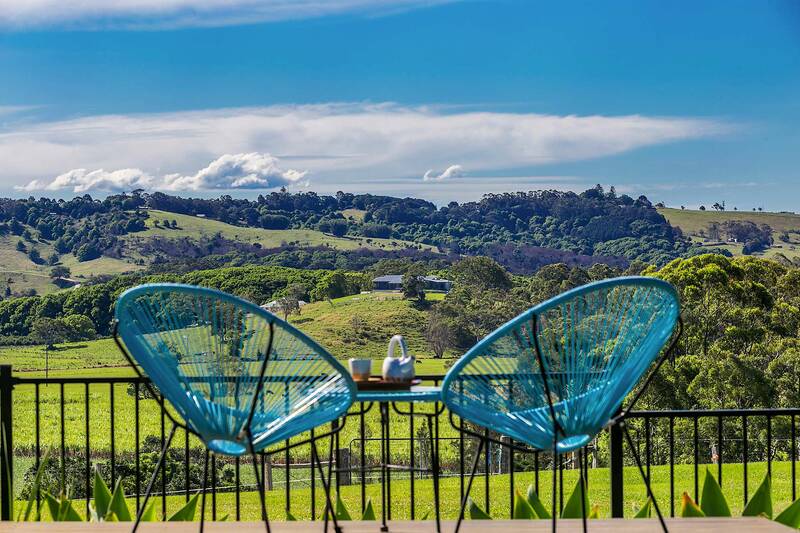 Dine al fresco in absolute luxury, at an 8-seater timber dining setting, under a stunning a-frame covered outdoor entertaining space with views to the pool and Hinterland. 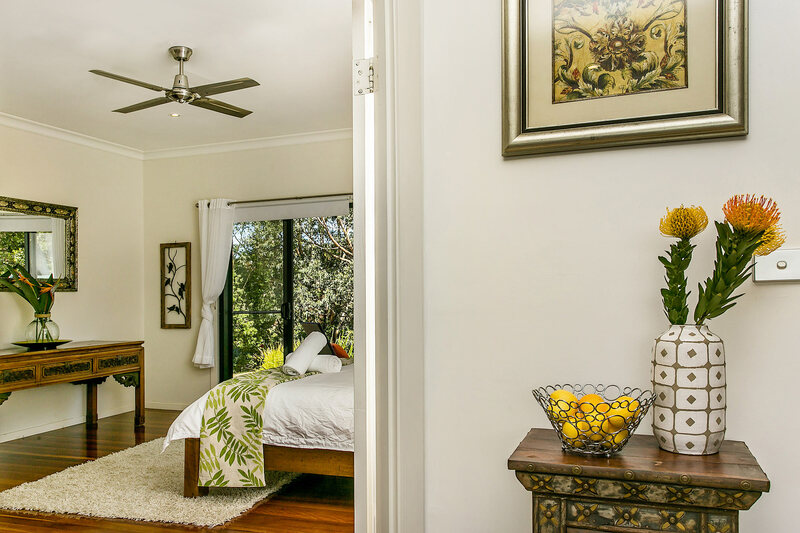 Cheralee has ceiling fans throughout and gas heaters for the cooler months. 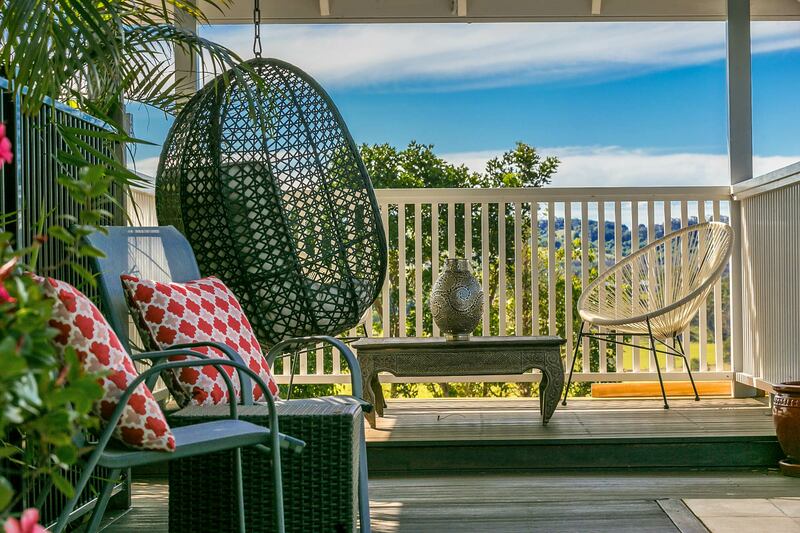 This luxury holiday home also offers complimentary WIFI for guest convenience. 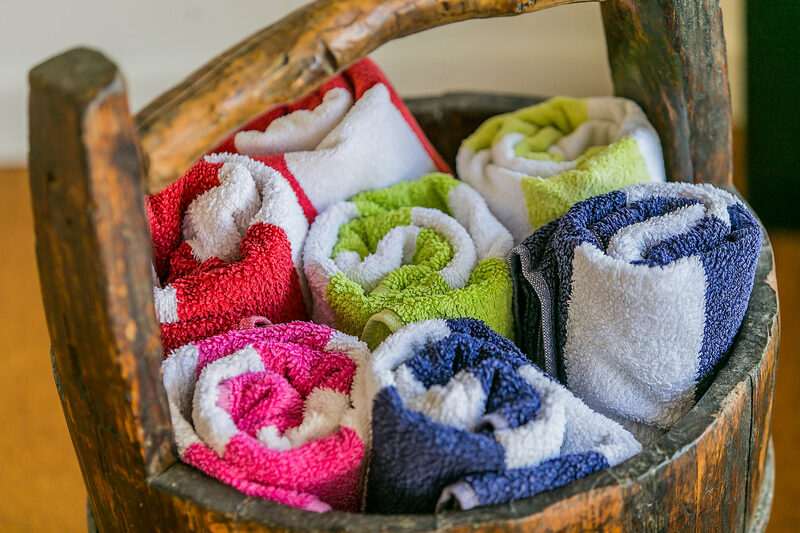 Complimentary pool towels are also supplied. Luxury Spa Experiences offer on site massage treatments by appointment. Please call 0411 375 084. This property is pet friendly on request. 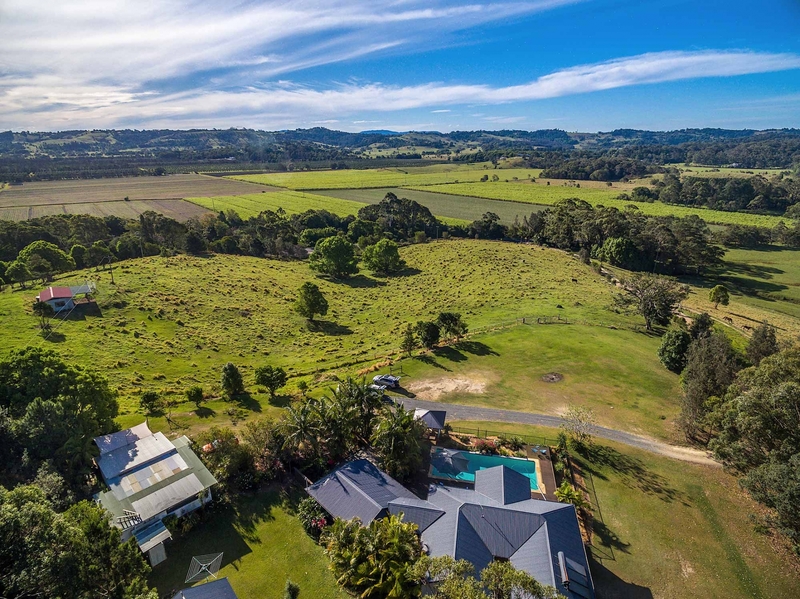 From this amazing Hinterland location, drive 5 minutes to Broken Head - the pristine stretch of national park and coastline, only 7kms from Byron Bay town. 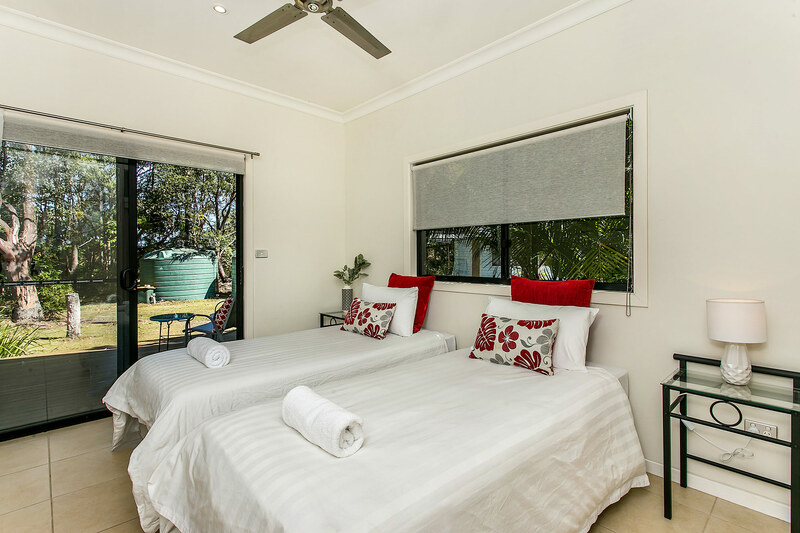 Another 5 minute drive will find guests in the vibrant coastal village of Lennox Head - surf at the world-famous Lennox Head right-hand point break, swim at the stunning shaded tea tree lined Lake Ainsworth or swim and relax at Seven Mile Beach. Lennox village offers a unique mix of cafes, bakeries and restaurants, local boutique shopping and convenient services, all in a casual, coastal setting. We had an early Xmas get together. The property is perfectly set up for a wonderful stay. 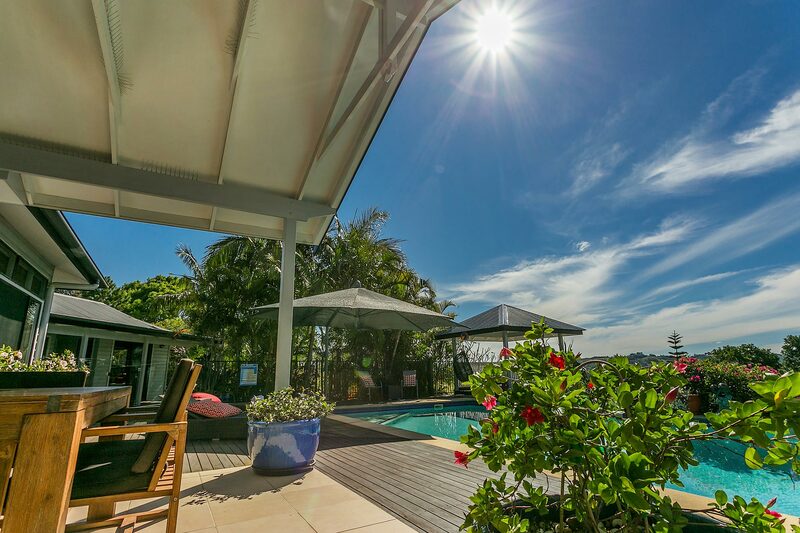 Great location, views and entertaining areas with fantastic pool, decks and gazebo. Everything seems to flow with ease. Host was warm and friendly. Highly recommended. Thank you for your hospitality and accommadating all of our personal requests. Cheralee is the most beautiful house in the best location. 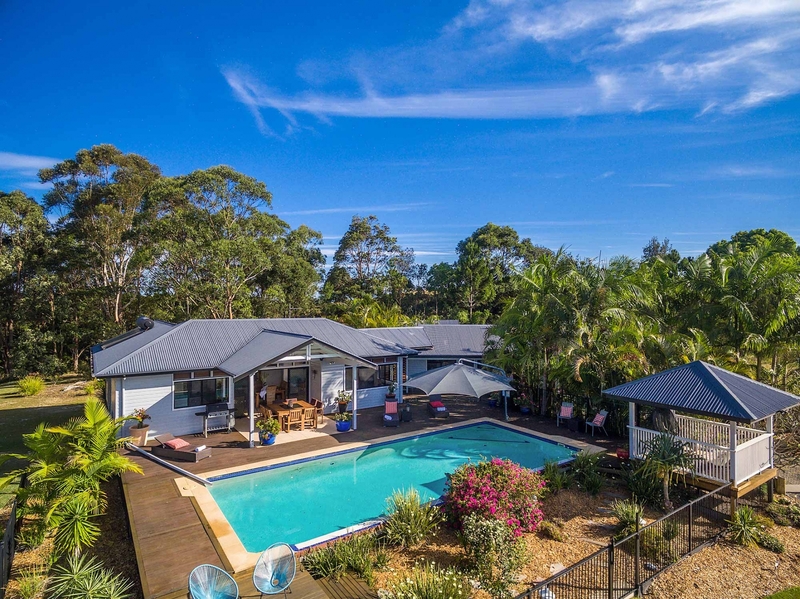 nestled half way between Byron and Lennox Head it offers the best of both worlds.... Kerrie is a very obliging host - we will be back for sure! Cheralee – The peaceful relaxing break we needed. Wow, this is our new favourite place to stay. It usually takes us a few days to wind down from our hectic Sydney lifestyle but within a few short hours and our first glorious sunset we were relaxed, feeling refreshed and at peace. Our host Kerrie had thought of everything, often when you stay at a house style rental, there is enough dishwashing pods, garbage bags for a day or two. At Cheralee, everything we needed for our entire stay had been thought of and was there ready for us to use, (except the food of course). Cheralee was spotless and is very well taken care of, as you can see from the photo’s it is beautiful. However, even the beautiful photo’s do not do it justice. The pool was a little cold, my husband and son got in briefly, it was, however, the middle of winter. If we could improve our stay at Cheralee in any way the only thing we would change would be to stay longer! A perfect Stay and Kerrie – thank you, we hope to be back in summer to enjoy an evening sunset in the pool!